I love the Bumbles of Rice blog, showing life as it really is. 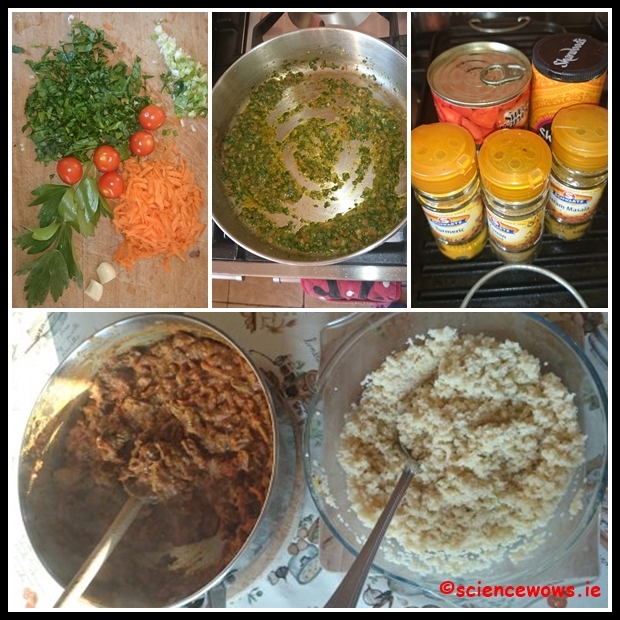 Sinéad, from Bumbles of Rice often shares images and recipes of what the family is eating on an given day. Sometimes it turns into a whole week in dinners, and a linky. I took part in one last year and I’m delighted to do so again. Apart from being “nosey” I love getting ideas and inspiration from what other people share, and it’s nice to see that other families have their quick-cheats too. 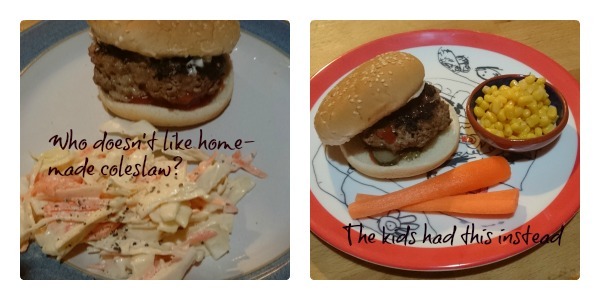 Dinner was home-made burgers with home-made chunky coleslaw, for me anyway, my kids turn their noses up at the coleslaw (which was a favourite of mine as a child) so they got corn and carrot sticks instead. A good start to the week, no complaints, no bribes required and they all went back for seconds. What’s seldom is wonderful, as they say! I decided to try something new on Tuesday, some sticky chicken wings with chilli dip from The Extra Virgin Kitchen Cookbook. I served them with home made oven chips and broccoli. They were fairly successful, despite the request to “remove the black bits and then I’ll eat them”. Good enough that I would make them again, but maybe with a second batch of chicken wings containing no marinade. 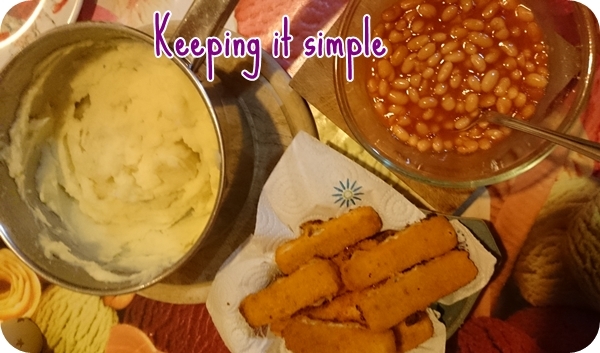 Wednesday night I kept it easy and simple, fish fingers, beans and mashed potato. Another good night (it turns out this week contained less dinner complaints than usual, it is a good thing I have it documented for my own records!). 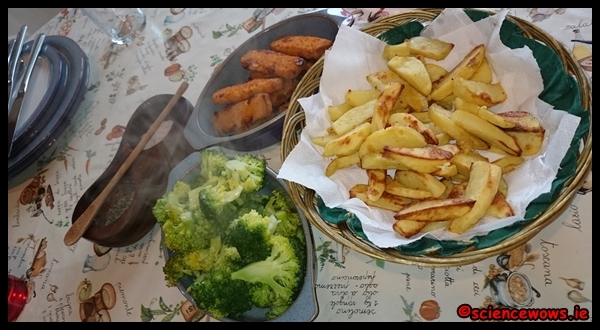 This one I knew would be a crowd pleaser… home made chicken goujons, served with (ahem) more home made oven chips and broccoli and peas. I could go a whole week without cooking with potatoes as my kids are not big fans but this week I had a big bag and used them (it seems) in every meal. The vegetables were a bit repetitive too, it was a case of using up what was there. No matter what is going on in the world there is always one constant that can be relied upon… Friday night is pizza night in the Science Wows household. The kids like them with corn, salami and olives. Sometimes the sauce is home made roasted veg, sometimes it is from a jar. I made a big batch of sauce last week and froze it in portions (I make it a bit like a ratatouille then blitz it so that no one can recognise an “offending” vegetable). 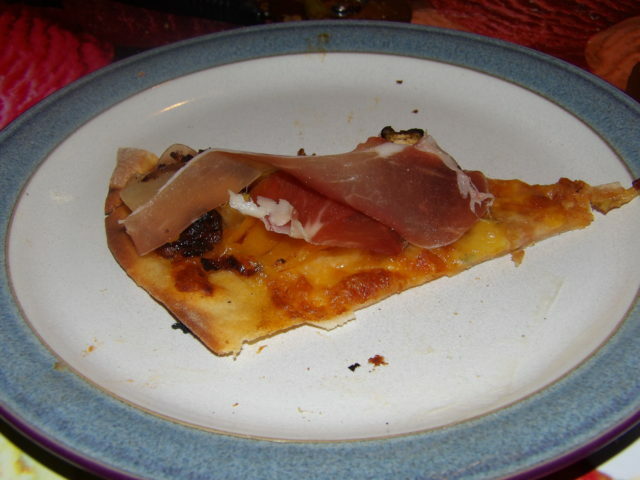 The adults had theirs with a bit of blue cheese, pear and prosciutto (this is the posh combo that would ideally be completed with some caramelised onion – but not this time). 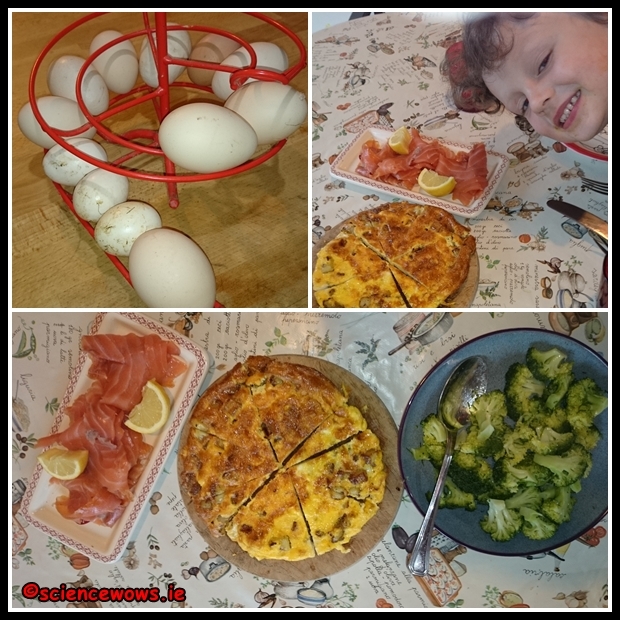 That is our week in dinners, if you want to see what other families are really eating, check out the posts in the linky by clicking on the image below. I’m off to steal some ideas for the next few weeks! What has your family had for dinner this week? I really love the “A Week in Dinners” series over on Bumbles of rice so I couldn’t resist joining in when the series was opened up as a blog linky. I am really looking forward to seeing what everyone else is eating (because I am so nosy!) but here is my contribution! 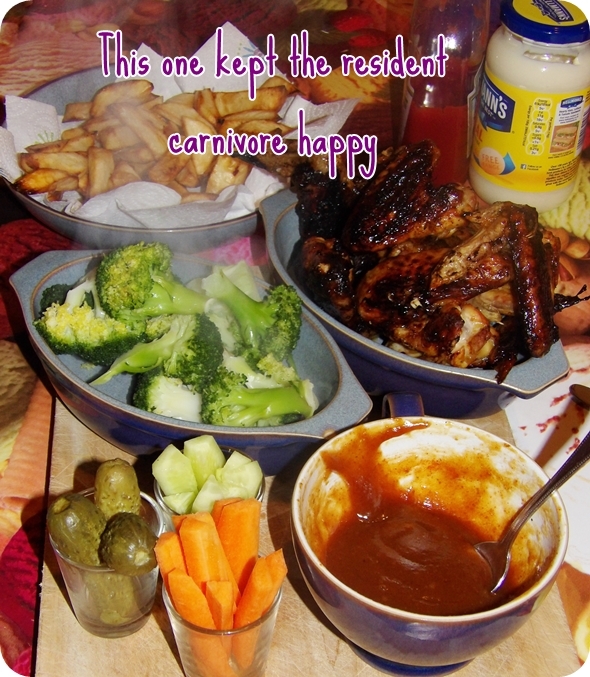 This is what we ate for the second week of the Easter holidays. We arrived back from visiting my parents with a LOT of chocolate and the leftover lamb from the big family Easter dinner. My mum is like most Irish Mums … afraid of not having enough she tends to cook a lot, especially when she has the whole family to feed. Knowing that the left over meat would not be eaten I took it home for a few more meals. First up… a kind of curry with a Moroccan twist? (Okay I improvised and as the cupboards were fairly bare I threw in what I had to hand). Onion and garlic are always a good starting point, followed by tomatoes, carrots, herbs from the garden, tin of tomatoes, spices, raisins and ground almond…. I am a bit of a chuck it in and see what happens cook! It smelled good enough to draw them to the table… and I served it with a bowl of couscous. I was a bit nervous serving this one up, waiting for a litany of complaints but SURPRISE! SURPRISE! they all loved it! Every scrap eaten. I was one smug mama sitting at a silent table of busy eaters! As I said, my Mum cooks for an army when she has the whole clan together so despite last nights dinner, there was still plenty of lamb left over! “Waste not want not” as they say so the family was subjected to another round of lamb left overs. 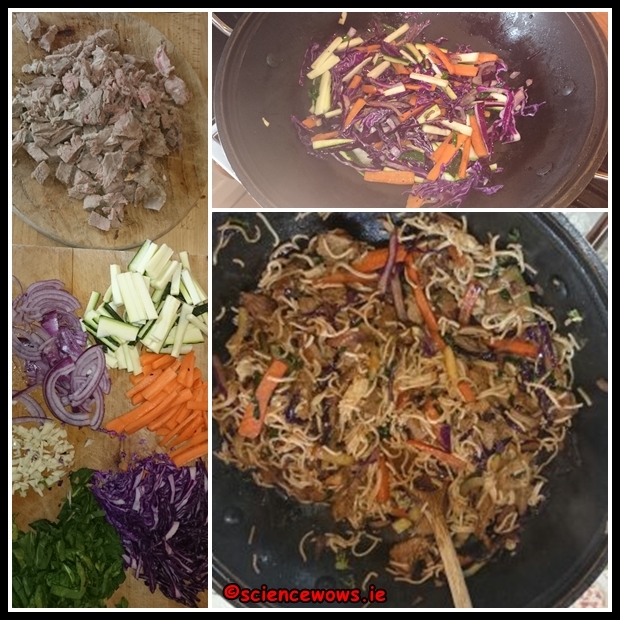 This time disguised as a stir fry, served with noodles. Sit fries are common enough around here, usually with prawns or chicken but I thought I was fairly safe with this one. Not so! Perhaps one lamb dish too many, this one went down with mixed reviews, and a fair bit of picking the “I don’t like this” bits out. It was the Easter holidays and I still had not done the big weekly shop so I decided to limp along through the rest of the week on what we had around the kitchen. 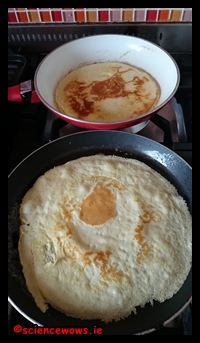 The chickens were all back laying so we had a good supply of eggs… a Tortilla was on the cards for Wednesday night. Served with broccoli and smoked salmon (for the egg hating family member) this was another hit. Happy diners all around and clear plates at the end of the meal. Another smug mama moment. After a little stroll around Galway City we settled on a lovely little tapas restaurant (Lunares) for dinner and it didn’t disappoint! We got three tapas between us: potatoes with chorizo and a fried egg, prawns in garlic and chili and a chicken dish, marinated in wine. All washed down with a lovely glass of Tempranillo! The food, ambiance and service were excellent. The taste of the food was made all the nicer by the fact that I did not have to cook it or do the wash up after! 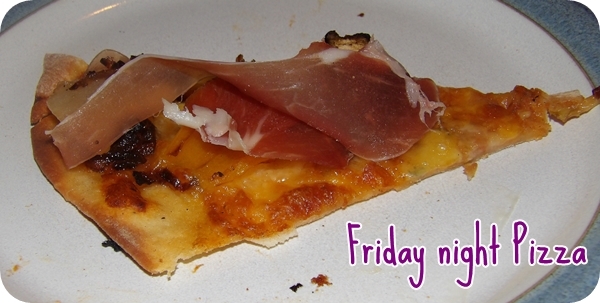 Friday night is pizza night in our house… without fail! On a good night the toppings are all gourmet and there are accompaniments such as chips and a lovely salsa, on a bad night it is sauce from a jar with a sprinkle of cheese. This Friday night fell somewhere in between… the sauce was homemade roasted vegetable but the toppings were basic enough (salami and olives with a sprinkle of blue cheese for the more adventurous) and there was no chips or salsa. 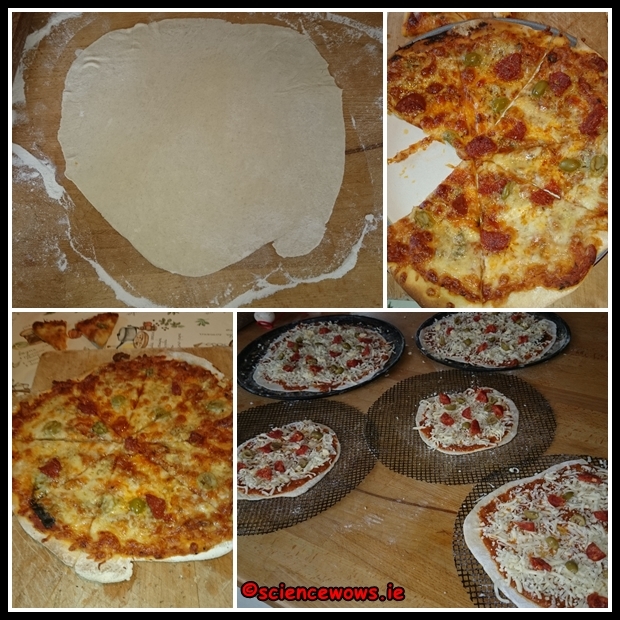 Each pizza has to be made to the personal preference of each family member, some like small thick bases, other prefer them large and wafer thin. Regardless of how they like them, they all eat them without complaint which always makes the little bit of effort worthwhile. 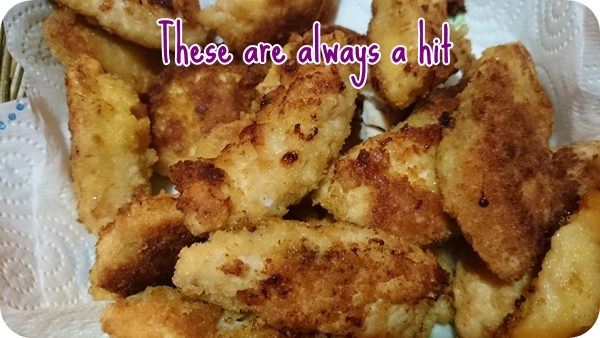 Still no shopping done but a rummage in the freezer revealed a pack of fish fingers so we were in business. Served with homemade oven chips and yet more broccoli and everyone was happy. Simple, basic but no complaints… that is good enough for me! We started the day well, with a big grill and homemade smoothies but the weather drew us outside for the day and after plenty of adventures and work in the garden, a lovely neighbour dropped us in a lemon drizzle cake. I hadn’t even started dinner but it was one of those rare moments when you just go with the flow and five hungry people tucked into a delicious lemon drizzle cake… and ate the lot. After that there was not much point in making a dinner really so I waited another hour or two until everyone was hungry enough and it was a kind of “eat what you want” meal (not very good mothering there I know). There was beans on toast for one, ryvita and cheese for another, sandwiches, fruit…. and even pancakes for one lucky boy ! A real medley of a meal and not very healthy, I’ll admit, but a nice way to round off the last day of the Easter holidays. So that is our week of dinners, what did you have? Check out the linky over at Bumbles of rice to see what everyone else is eating!